I’m thinking back to last winter, 2015, when we had record breaking snowfall. After a few snow days the thrill of working from home had worn off, my freezer was full, and shoveling was harder as the piles got bigger. 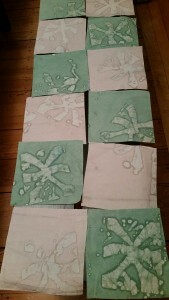 Perfect time to bring out the next craft project! 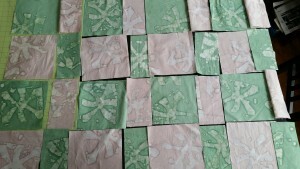 It started evaluating my scraps and cutting pieces into squares. 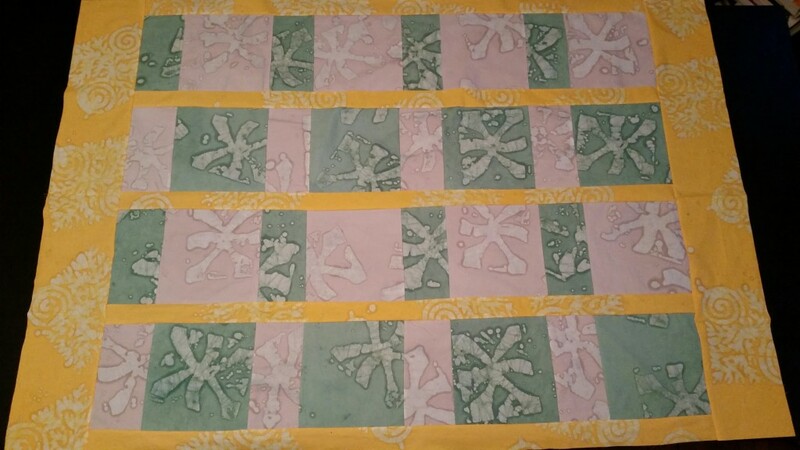 Some might argue one should have an end in mind before starting to cut fabric, but I’m a new quilter, and we all have our processes…. I love the way the lemon yellow pops out and gives color, so needed on long winter nights. I gave this lap quilt to my mom for cuddling on winter evenings. 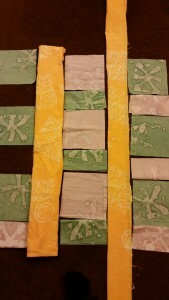 This entry was posted in Uncategorized and tagged family, quilt, snowday. Bookmark the permalink.